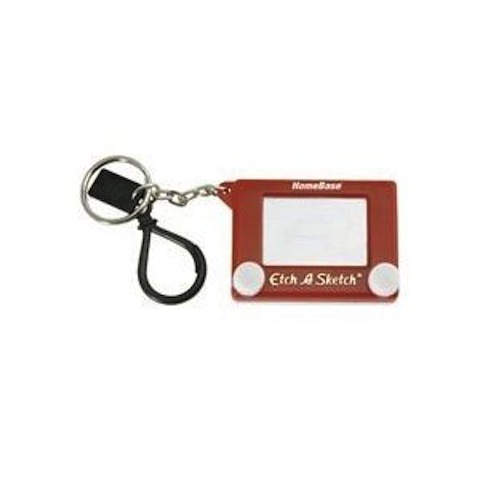 The world's favorite drawing toy now goes where you do with the Etch-a-Sketch keychain. The horizontal and vertical knobs, and the erasable drawing surface actually work, just like you expect from your years of playing with and enjoying the larger original version. Always fun, and never the same twice - take Etch-a-Sketch along for the ride. For ages 4 and up.